maybe this information is useful: If you want to use Citrix GoToMeeting you should be aware that you can not use GoToMeeting together with an Audio Headset and XenApp. 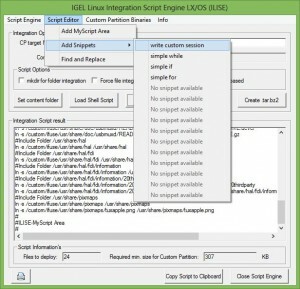 If you are using XenDesktop together with a Desktop OS (not Server OS!) then it will work and you can use the Headset. 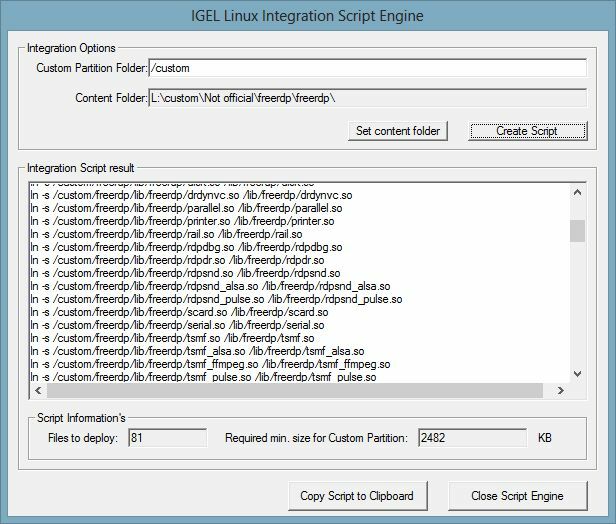 This is not related to IGEL, it’s a general behavior for GoToMeeting together with XenDesktop/XenApp and the Client OS (Windows/Linux) is not important! very often i’ve been asked why IGEL´s Windows based OS is taken a little bit longer for the boot time then Thin Clients from other Vendors. The new UD5 Windows 7 Dual Core provide’s: A faster CPU, faster Storage (WD SSD), faster Memory and a faster Chipset but still it takes (only for the Boottime!) a little bit longer then (much) slower Devices from other Vendors. See also my UD5 Performance Whitepaper. 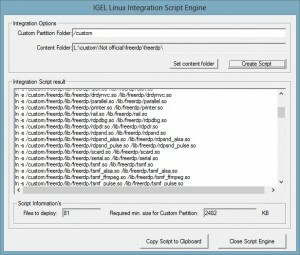 – IGEL is running a virtualized Windows Embedded OS = Nonsense… IGEL has a Linux Partition to pevent the use of PXE crap and provide a secure and high available firmware deployment solution. There is no “Thin Client” Hypervisor or something funny at all (like the Citrix XenClient). 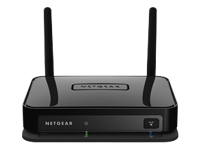 – IGEL devices are slower= Nonsense… Compare the overall UD5 Dual Core performance with any other current high end client and you will see which device is slower in general. Tip: It´s not the IGEL. Of course you should try devices on the same level… Comparing a UD5 with a 3rd Party entry Thin Client or a IGEL UD2 with a 3rd Party High End Thin Client doesn’t make sense at all. 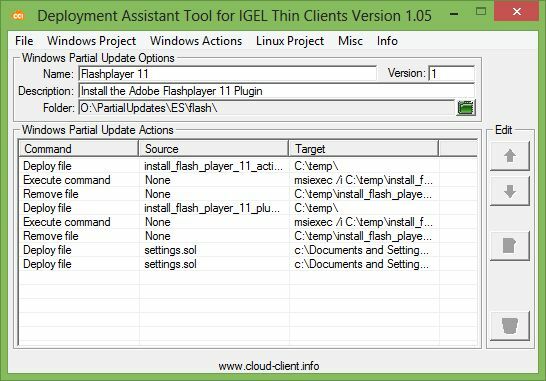 – IGEL comes with a lot of services compared to other vendors, most of these services are enabled by default and not disabled or better: Not available. – IGEL’s Management is very stong but these management tasks are not for free… They do require a little bit time. If a device with no really or only basic management is offered: Of course it will boot faster! If you have nothing do to at work… Of course you can make a break earlier; It’s very similar. – IGEL Boot Loader takes a few seconds to time out. – Make sure the UMS is available, the Clients will always try to talk to the UMS and it takes a few seconds for a Time Out. – Use the Standby Mode if possible, no device will boot faster if an standby mode and the new devices only requires a little bit more power compared to switched off client. – Some vendors are using a Standby Mode by default (without mention this in the documentation), plug off the power cable to check this or enable the Standby Mode for the IGEl too. – If you’re only looking at the boot time you should figure out how often your Users are “booting” there device and compare this to other performance figures. – People complaining about the boot time for a thin client… Compare it to your Active Directory Profile Management (if in place), how long is your logon time? 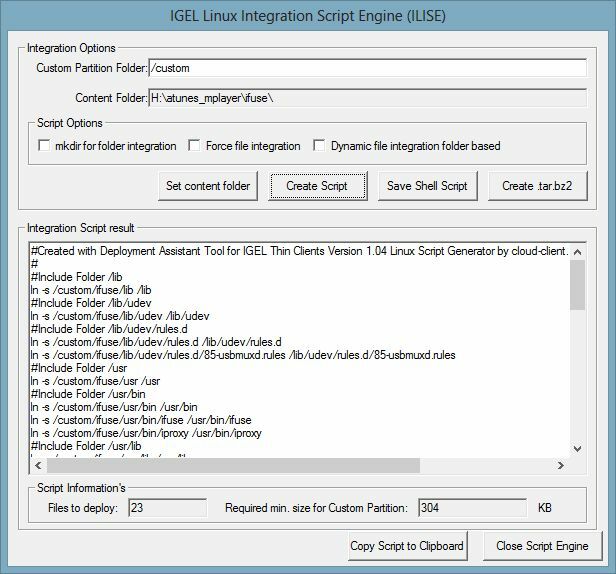 – Use the IGEL Universal Management to wake up the clients for the user’s, the new devices require less power then ever and every User is happy (or not 😉 ) if his client is ready to use. yesterday i got a strange issue during a customer Thin Client Setup for Windows ES W7 based IGEL Clients. The issue: After the ES W7 based Thin Client has joined a Domain the Network did not work at all (Firewall Policy for private Networks). This is not a recurrent issue, it can happen sometimes or not… So really strange to trouble shoot. Now it looks that we fixed the issue by installing two Microsoft Hotfixes, the issue is also mentioned here: http://support.microsoft.com/kb/2524478/en-us. After this setting is disabled the mapped user drives will be not removed anymore. 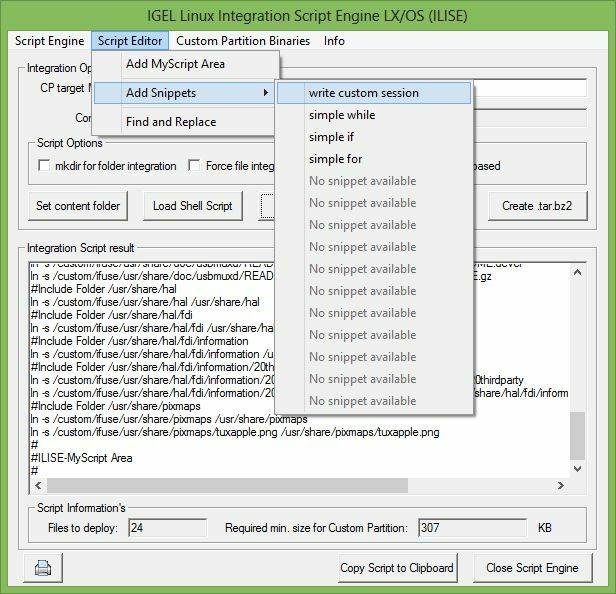 sometimes IGEL do some changes to the default Firmware configuration, for this example i point to the VMWare USB redirection service which is now disabled by default. (Why is simple… Running to much different USB redirection services at the same time is a bad idea and can produce conflicts depending on the USB device, like funny blue screens.). If you now want to enable the service thru the local IGEL Setup, this is simple to do and you can find the configuration in the Accessoires->Windows Services Tab. If you want to perform this task thru an UMS Profile it’s sometimes more tricky, if the new firmware setting is not available in the UMS Console GUI as example. So first upgrade your profile to the latest firmware version; select your profile and then change “Optimized for”. Now open the profile and select System->Registry-> System->winservices, try to find the service you want to enable; in our sample “start_view_usb_redirection” and save the profile after you have enabled the service. Assign the profile to your Clients (if not already done) and after a reboot: Tatata, the service is running. Sometimes customers/users ask to have more then one Internet Explorer Session on the Desktop, by default this can’t be configured with the Internet Explorer configuration in the IGEL Setup / IGEL Universal Management Suite but there is a simple way to do this… With the Internet Explorer or any other session where the client do support command line parameters. 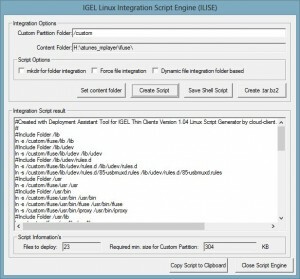 1) Just open the IGEL Setup or the Profile in the IGEL Universal Management Suite. You can do this for several sites and session types, the global settings for the session are still working in this sample but you are flexible to provide the user several direct start links on the desktop like in Linux.